With an emphasis on their mobile app capabilities, Glofox is ideal for on-the-go small business owners. Glofox is a gym and fitness studio management software designed to help fitness business owners reduce time spent on administration, retain clients, and increase revenue. Is Glofox the right software for you? Glofox stands out from the competition with its ease of use and customization; each client receives a custom branded mobile app, which customers can download to view, book and pay for classes, courses and memberships. A booking and payment portal can also be integrated with your website or Facebook page. This level of customization makes Glofox a top solution for smaller gyms and fitness studios looking to save time, grow their community and promote their brand. Designed specifically for the fitness industry, Glofox offers a feature-rich product at a competitive price. Lightweight membership management solution that helps clients save an average of 2 hours/day in admin time. Each Glofox client gets a custom branded app, which members can download -- great for building brand loyalty. Offers an Admin app, so that you can manage your business on the go. 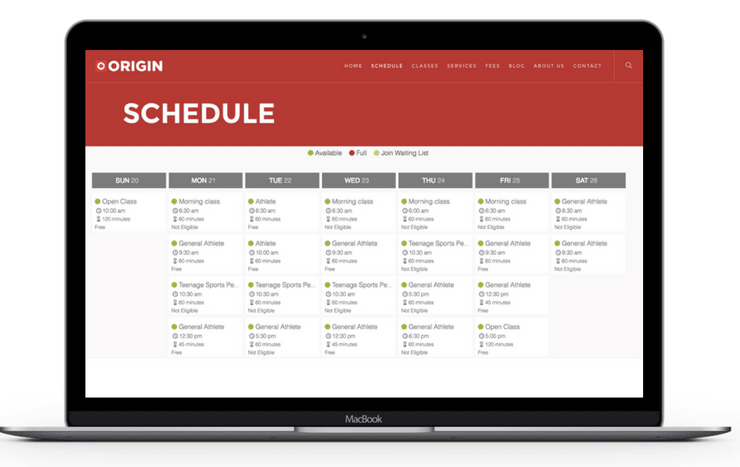 Designed specifically for fitness businesses (gyms, yoga studios, fitness studios, affiliate gyms), so doesn’t have any extraneous features meant for users in other industries. Software is modern, flexible, and easy to use. Booking and payments portal can be integrated with your website or Facebook page. Strong customer support -- unlimited free training. Does not currently offer direct debit integration. However, Glofox has plans to integrate with GoCardless in 2017, in order to accommodate larger gyms who require this. Glofox uses Stripe as its payment processor, and so only operates in countries that use Stripe. Currently lacks coupon and discount code functionality, as well as payroll, but these features are currently under development. Starting at $100/month, up to $190/month depending on which package you purchase. See here for the full pricing schedule. Glofox is a Dublin-based fitness club management startup founded in 2014, currently with 20+ employees. The company is backed by investors, and is currently raising another round of funding. Since it’s a smaller company, the product is much more lightweight compared to its competitors, and the company is able to focus on its customers and offer exceptional customer support. A benefit of having a lightweight product is that the learning curve is very small -- Glofox reports that its customers are typically able to get up and running with the software in 48 hours. 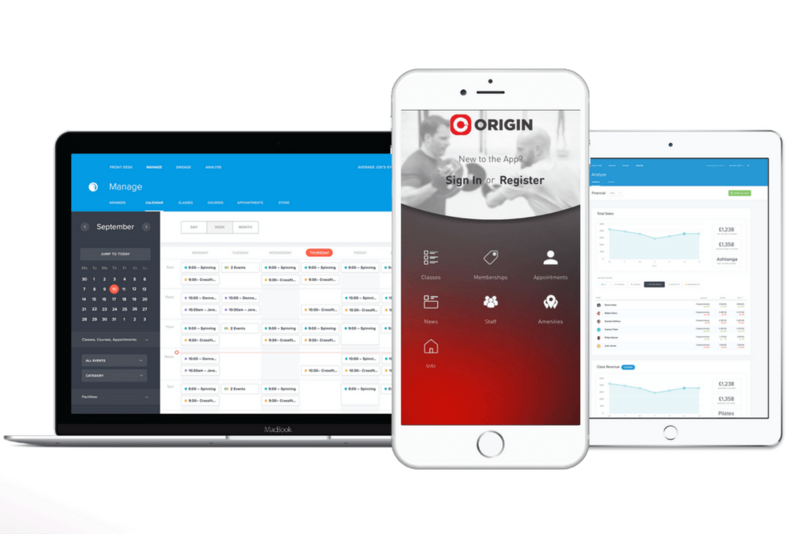 But once the system is up and running, the software can drive powerful results, as you can see in this case study with Origin Fitness. A distinguishing feature of Glofox is that it gives each client a custom mobile app specifically branded for their business. Many other popular fitness membership management software also have the capability of providing custom mobile apps, but this often comes at an additional cost. Glofox provides a booking and payments portal that can integrate with your business’ website, or Facebook page. Since many fitness studios who are just starting out don’t have their own website , but use Facebook as their primary way to reach out to their customers, this functionality is especially useful for smaller fitness studios. Below, we discuss the key features of Glofox, and how they can benefit your practice. Glofox’s ability to provide each business a custom-branded mobile app greatly increases each client’s ability to interact with its members, increase its perception of its brand, and foster a sense of community. Members can access your app through the Glofox app, or if you purchase Glofox’s Platinum package, then members can search the app store by your business name. 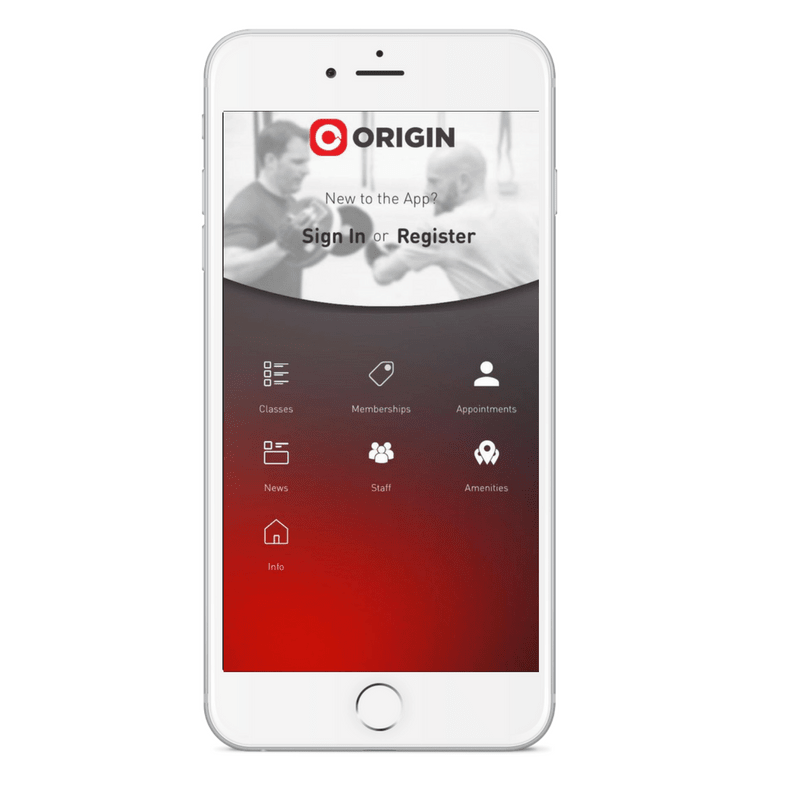 Members can download your business’ app, where they can access class schedules, register for classes, and pay for classes, or purchase retail items from your store. 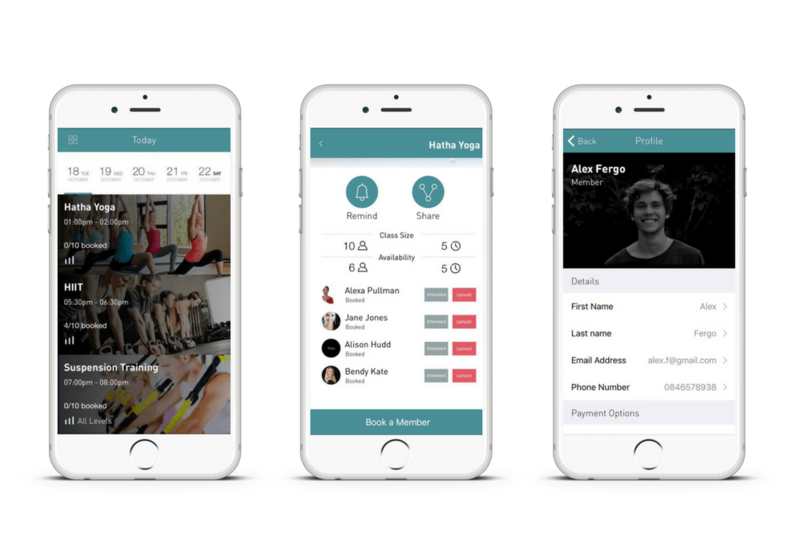 The app includes a News Feed, which enables gyms and studios to post content such as news updates, workout videos, or motivational quotes, to keep their members engaged with the app. The app also makes it easy for businesses to communicate with their members through by enabling businesses to send push notifications, and by sending messages through the news feed. Sending members push notifications can be a great tool to increase member’s awareness of new classes that are being offered, or special packages/deals that they may be interested in. Recently, Glofox released its mobile admin app, which enables Glofox clients to control their business directly from their phone. 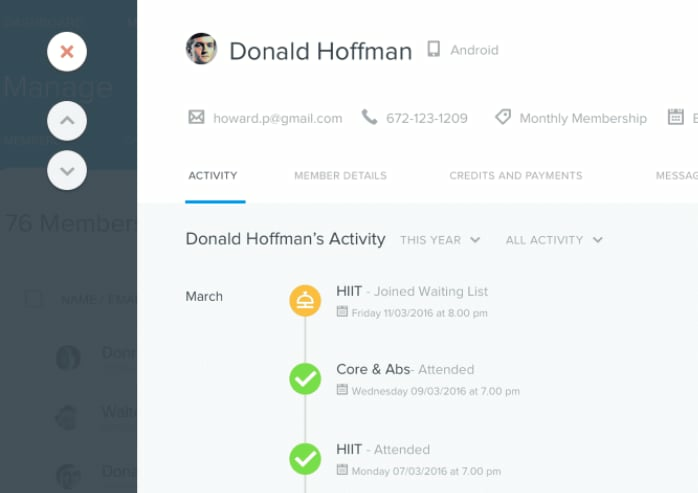 With the mobile admin app, you can easily access your class schedule and see who’s enrolled, manage appointments, and accept payments. This functionality is all included in the monthly subscription, without any additional fees. Each member has a profile, which keeps track of their membership type, payment history, the classes they’ve attended. If a member is on a 10-class package, for example, whenever they sign up for a class, the class is automatically deducted from their balance in the backend, and their profile is adjusted accordingly. You can also store notes about the member in their profile, which is a convenient feature for personal trainers. Members can easily access your class schedule either through the mobile app, or through Glofox’s booking portal on your website/Facebook page. This makes it easy for members to search find classes taught by their favorite instructors, or to search for their favorite class at a time that’s convenient for them. When members book their class, the fee is automatically deducted from their balance, which ensures timely payments. Members also have the option to be sent reminders when their class is approaching, which can be useful in reducing the number of forgotten appointments / cancellations. If you are a small gym or fitness studio looking to reduce admin time in running your business, and looking to foster a sense of community with your members, then Glofox is a top solution to consider. To benefit from Glofox, you don’t even need to have a website set up, since Glofox’s web portal can be put on your Facebook page, allowing members to view and book classes directly. This makes Glofox great for startup fitness businesses, and smaller studios on a tighter budget. By providing members a mobile app specifically tailored to your business, Glofox can be a great tool to building brand loyalty, and also helps to make your brand appear polished.